I’m back with more stories about my study abroad program in Florence, Italy. In my previous blog, I mentioned that I have Health and Fitness in the Mediterranean as one of my classes this summer. What I forgot to mention is… my professor, Coach Fabrizio Polloni happens to be one of the eight coaches of the Italian soccer team. Yes, you heard me right! I mean THE Italian soccer team which competes in the World Cup! Because of this, we got an exclusive tour of not only Museo del Calcio (Italian Football Museum), but also the Centro Tecnico Federale (National Football Training Ground). During our visit, Coach Polloni himself gave the exclusive tour of the different sections within the museum. He gave us an overview of the history of the Italian football team. Did you know that Italy won the World Cup back to back in 1934 and 1938 under the direction of Coach Vittorio Pozzo? Apparently, he was one of the best (if not the best) soccer coach in the Italian history according to Coach Polloni. 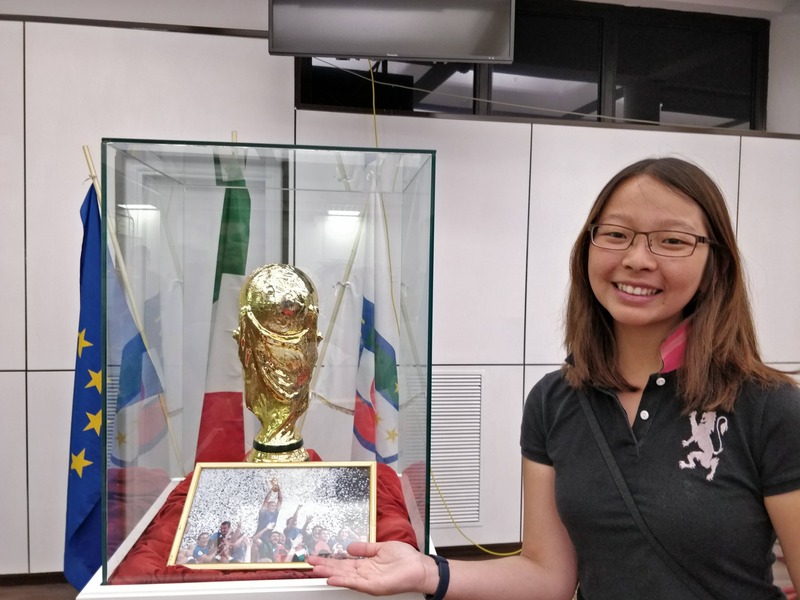 Also, I was lucky to have had my picture taken beside the Golden World Cup. I mean, it’s not everyday you get to see one in person, let alone get a picture with it! 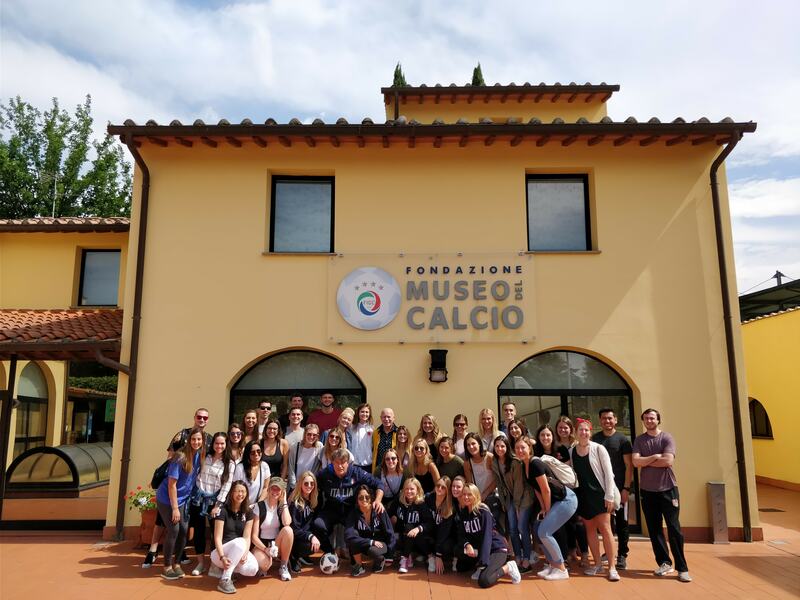 Unfortunately, the Italian soccer team wasn’t around when we visited; however, we got to meet the legendary Dr. Fino Fini, director of the Museum of Football Foundation. We even got a class photo taken with him in front of the museum. How lucky, right? According to Coach Polloni, Dr. Fini was the physician of the national team from 1962 to 1982. His love and passion for soccer led him to open the museum. You should consider doing your #BullsMeetWorld post on Coach Polloni…. Just a thought! Enjoy your trip, it seems wonderful so far. Thank you for sharing!